Electrochemistry - The branch of science that deals with interconversion of chemical energy into electrical energy and vice versa. Oxidation - Loss of electron(s) by an atom, ion or molecule is called Oxidation / Increase in oxidation number. Reduction - Gain of electron(s) by an atom, ion or molecule is called Reduction / Decrease in oxidation number. LIO-GIR –  Loss is oxidation-gain is reduction of electrons. Oxidation Number - The charge possessed by an atom or molecule due to loss or gain of electrons. Spontaneous Reaction - The reaction that takes place naturally. Eg-Melting of ice cubes. Non-Spontaneous Reaction – The reaction that takes place with the help of an external force. For Example: Burning of LPG  needs initiation. Cell Potential - The potential that a cell has, to do some work on its surrounding by the help of electric current flowing through the connected wire. Fig. Example of spontaneous reaction. 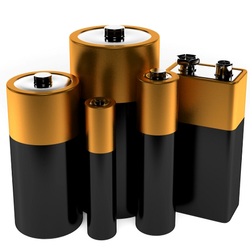 These types of cell involve spontaneous chemical reactions like batteries. In these cells Electrical energy is transformed/converted into chemical energy. These types of cell involve non-spontaneous chemical reaction and even need external source for electron flow. In these cells Chemical energy is transformed/converted into electrical energy. 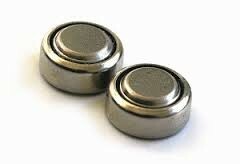 Is an electrode where oxidation takes place. As reaction proceeds anode appears to become smaller with time because it’s metal become ion and falls into electrolytic solution. Is an electrode where reduction takes place. As reaction proceeds cathode appears to become larger with time because the metallic ions in its cell receive electron and get neutral metallic atom which will go and plate on it. It is used when gas is involved / ion to ion is involved like Cu3+ being reduced to Cu2+ instead of CuO. They are made up of either platinum or graphite. Used to complete the circuit connection and help electron to flow. A device used to measure emf/cell potential. An inverted U shaped tube which is packed with agar agar paste having neutral salt mixed in it. It is closed at end with cotton or some porous cap. The molten/aqueous chemical that is present in half cells in which electrodes are dipped. The two compartments’ that contain a solid electrode and liquid electrolyte in it. Both are called half cells separately. Note: Daniel cell is a type of this cell. It was invented by a British chemist John F Daniel in 1836. And in this cell ZINC and COPPER electrodes and electrolyte is used. A unique property of a REDOX reaction is that, it can be carried out with the reactants present separately in space and just linked by an electrical connection i.e. chemical energy is converted into electrical energy. Let’s see a diagram of a galvanic cell which involves the reaction between cupric ions and zinc. The setup consists of two beakers, one contains Cu2+ ions in it with copper rod as electrode, the second beaker contains Zn2+ solution and zinc rod as electrode. Since both of them are separated therefore in order to build connection between the two solutions, an inverted U tube is used which is known as Salt bridge. These contain agar-agar gel with electrolytic solution of KCl or NH4NO3. 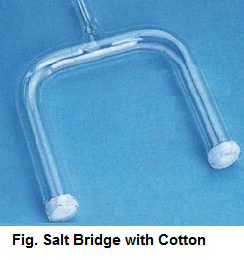 The flow or leak of the solution from the salt bridge is avoided by plugging the ends of the tube with cotton or glass wool or even by capping with a porous material. When the reaction starts the ammeter connected to the two electrode through wire shows deflection which confirms that a chemical reaction is occurring in the beakers and something charged is flowing. Zinc electrode starts giving out Zn2+ ions in the electrolytic solution making it small with time, on the other hand the copper electrode increase in its size due to deposition of neutral copper atom on it. This will make the electrolytic solution of Zinc beaker more concentrated with cations and the other beaker lacks cations. The ammeter deflection indicates that the electrons are moving from zinc rod to the copper rod. It’s a continuous process as long as reactants are enough, salt bridge is present and the electrical connection is firm. Let’s see what happens inside on microscopic level, the zinc rod gives out electrons which come out of it and starts travelling through external circuit, this produces Zn2+ ions which have higher affinity towards solution medium than solid rod. Thus Zn2+ ions come out in beaker which leads to reduction in the size of zinc rod. We even observe that electrons flow towards copper rod, and comes inside electrolytic solution, there it will neutralize the Cu2+ ions to metallic Cu atom which has high affinity towards solid  Cu rod leading that they all gets deposited there on it, which increases its size. Since Zinc beaker side loses electrons therefore it is called Oxidation Half-Cell, and copper beaker side gains electrons it is known as Reduction Half-Cell. Finally, we must understand the purpose and use of salt bridge. During reaction we have seen that Zinc ions are produced by losing electrons and this Zinc ions comes out in the solution, due to this the net positive charge of the zinc rod beaker increases. On the same time, the overall negative charge on copper side beaker increases because Cu atom gets deposited on copper rod. The salt bridge helps to prevent the net accumulation of positive and negative charges on both the sides. 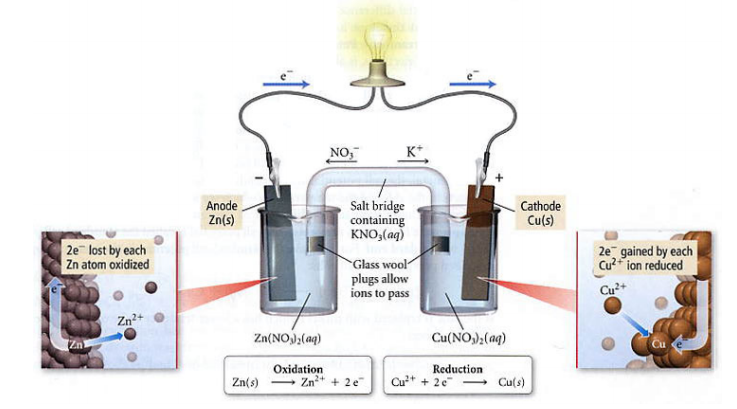 Doing so the negative ions from the salt bridge enter Zinc beaker side to reduce the net positive charge. The positive ions from the salt bridge enters copper side beaker to decrease net negative charge there. If this was not done then due to accumulation of net positive and negative charges on both the sides the redox reaction will come to an end. Thus we can tell that although salt bridge do not participate in the reaction directly but it help to maintain continuity of reaction. It helps to complete the connection of both half cells. It prevents diffusion of the solutions in both the half cells. It helps to build electrical neutrality. Two parallel vertical lines in a cell reaction indicate the salt bridge. 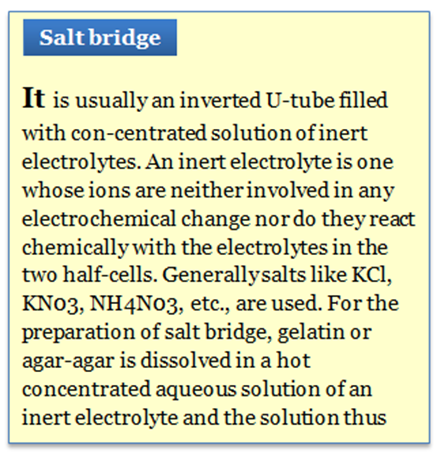 Salt bridge can be replaced by a porous partition which allows the migration of ions without allowing the solution to intermix. Fig: Note on salt bridge. 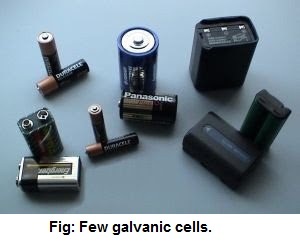 Fig: Detailed diagram of Galvanic cell. Always anode electrode is written first on Left hand side. In above example it is Zn. After solid anode its electrolyte is written next to it along with its concentration terms. In above example it is Zn2+ ion, its concentration term is written in bracket as subscript. A straight slash is inserted between the electrode and its electrolyte. It represents a surface barrier between the electrode and electrolyte as the both exist in different state. Salt bridge is represented as double vertical slash. Finally after it we write the cathode electrode of the cathode half-cell. 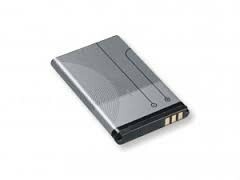 Rechargeable batteries used in mobiles, laptops etc. 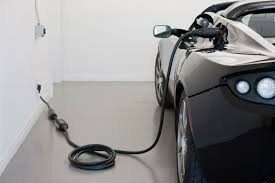 Automobiles like in tesla cars. 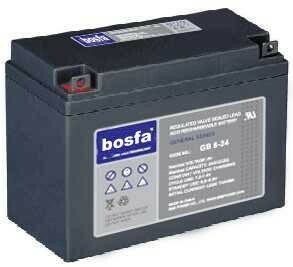 Used in small electric motors. They last for longer time. Some need extra care else will be spoiled easily. Some are bulky and heavy. 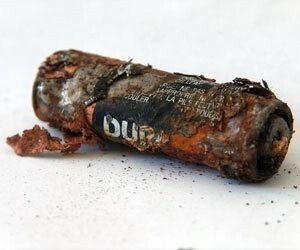 Fig: Rusting seen in batteries. 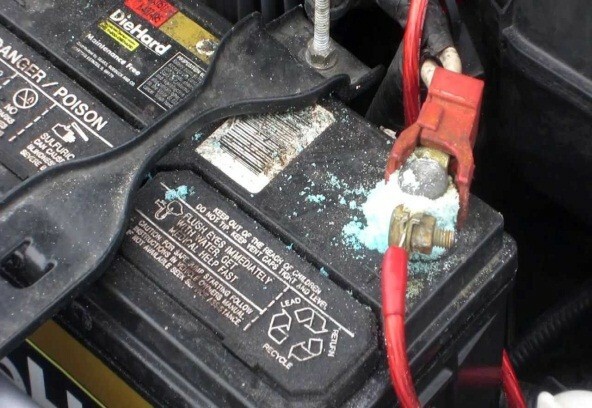 Fig: Corrosion seen in batteries.